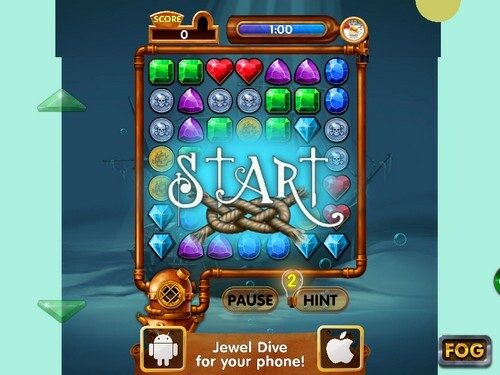 Description Jewel Dive is a gorgeous deep-sea puzzle game! Make matches of 3 jewels or more and boost your score to the max! Discover the powerful gems that let you clear lines and areas of jewels at once, and multiply your score with Jewel Multipliers! Don't forget to check out its mobile version, with even more features! Controls In this game you have to make matches with jewels by using your mouse to click and drag. You can make matches horizontally or vertically. You can only move jewels to match, or they'll return to their original position. Every time that you make a match there will be new jewels appearing above. When you make a match with fallen jewels you will get even more points. You can earn power gems by matching 4 or more gems which provide you with unique effects.